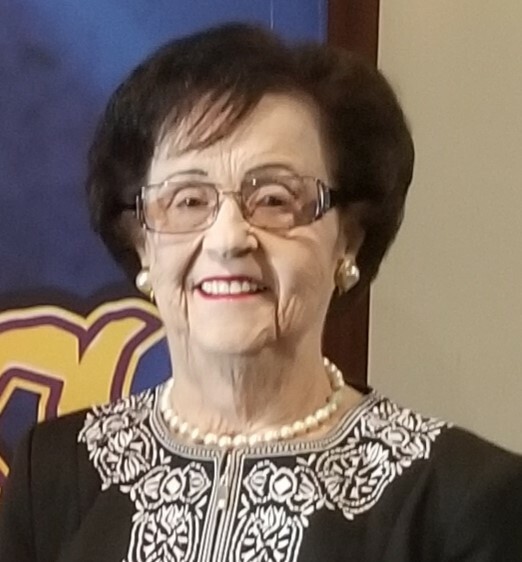 Charlene Lovering Ellerbe, 84, of Fleming Island, passed away March 17, 2019 at the Lifecare at Wells Crossing facility where she was recovering from Cancer surgery. Charlene was born on October 29, 1934, in Tampa, FL to her departed parents, Joseph and Isabel Lovering. Charlene grew up in Tampa with her loving parents, her departed older brother, Joseph “Joeboy” Lovering and her departed younger sister, Betty Lovering Post. Charlene graduated from Thomas Jefferson High School and attended the University of Tampa. Charlene met the love of her life, Samuel Herbert Ellerbe and was married August 24, 1957. For 56 years Charlene and Herbie built a wonderful life together, raising a family, and raising the spirits of everyone who had the pleasure to meet them. Charlene was a very active member of Orange Park United Methodist Church, where she was involved in numerous committees, prayer circles and other charitable groups throughout the community. Charlene served as the Matriarch of the non-profit organization known as herbiesheroes.org, which honored her late husband by presenting an annual scholarship to a deserving graduating senior from Orange Park High School. Charlene was loved and adored by her family and her multitude of friends in Christ. She will be remembered by all whom had the fortune of meeting her and know her as a shining light for Christ and family. A memorial service will be held on Friday, March 29, 2019 at 12:00 noon at Orange Park United Methodist Church, 2051 Park Ave, Orange Park, FL 32073. A viewing will be held from 11:00 a.m. to 11:50 a.m., also at Orange Park United Methodist Church. The services will be followed by a reception. Services are entrusted to Aaron and Burney Bivens Funeral Home.